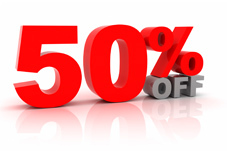 Our fantastic offer of 50% off MailStore if you already own a competing product was due to end on 31st August. However we received some good news this morning – our colleagues over at developer deepInvent have decided that not all good things need come to an end….well just yet anyway! So with immediate affect and lasting for the forseeable future, if you’re looking to upgrade from a GFI product, Redgate, Exclaimer or one of the other myriad of paid for archiving solutions on the market, you’ll still be able to get hold of a MailStore licence at half the normal asking price provided you can prove proof of purchase. I can assure you that you’re very unlikely to ever see MailStore licences this cheap again! Full details available in this blog post, please make sure you read our requirements and if you’re not sure about anything at all, feel free to get in touch and we’ll where we can.